This page allows you to make your donation to the Community Foundation of Shelby County by using your credit card or PayPal account. Simply enter your gift amount, select the intended fund name from the dropdown menu and click the DONATE button. You will be transferred to PayPal’s secure site for processing of your donation. 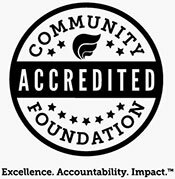 The Community Foundation will send a charitable gift acknowledgement to you. We are a 501(c)(3) organization and gifts are tax deductible. What alternate name would you like to use?